Young Architects across the South West of the UK were thrilled to take part in our mobile workshops tour at four venues earlier in the month. 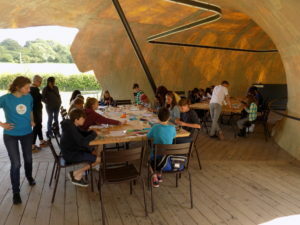 From 9th – 12th July, the Kidesign team challenged young people to create their most innovative and original pavilion designs, for a chance to win our international competition. First stop in the tour was in Wales at Chapter, Cardiff, a wonderful multi-artform space that is popular with families and culture vultures alike! The designs were first-rate – we especially liked the use of colour and different textures. 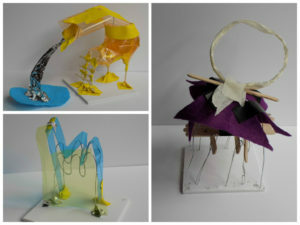 Phoebe, aged 10, designed a fun pavilion that reminded us of an animal – she told us her design (below, top left) would be built near water in real life so it would have a lovely view. Louis, aged 16, combined acetates to make his model (bottom left) to let lots of beautiful coloured light in. 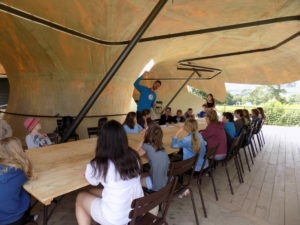 Next up was a family mass-make at Hauser & Wirth in Bruton, Somerset – not only was there plenty of natural inspiration to be found in this idyllic landscape, but participants got to make their models within the famous Radić Pavilion! The Radić Pavilion was installed at Hauser & Wirth Somerset in March 2015. Designed by Chilean architect Smiljan Radić, this unique structure was commissioned as the Serpentine’s 2014 Pavilion. 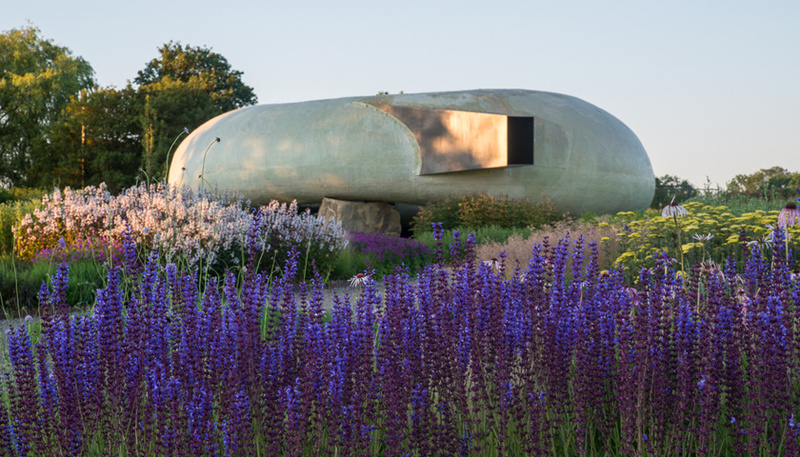 The Pavilion sits impressively behind the gallery buildings at the end of Oudolf Field – part of the gardens designed by renowned landscape architect Piet Oudolf. Those two exciting days were just the beginning! We’ll be posting an update on the second half of the South West tour later in the week.